Thieves Hard Lozenges – Leanne & Co. Always keep the power of Thieves® oil blend with you—even on the go! 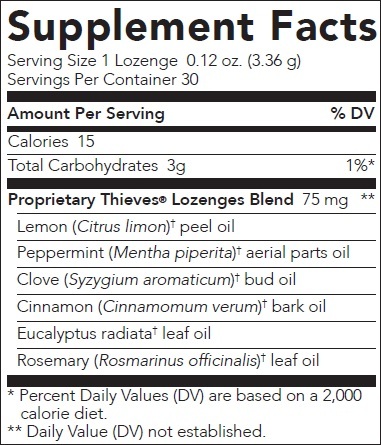 Young Living’s Thieves Lozenges, made with Thieves essential oil blend, offer a convenient and portable way to enjoy this favorite dietary supplement. Dissolve one lozenge in mouth, as needed. Swallowing lozenges whole may cause choking. Keep out of reach of children and do not expose to excessive heat or direct sunlight.